The consequences for drunk driving in the U.S. are well known. Fines, loss of licensure, jail time, and other legal penalties are routinely handed down to those who choose to drink and drive. Even more serious are the personal repercussion of drunk driving. The possibility of injuring or even killing others on the road and the shame and embarrassment of a DUI charge should be understood by all drivers when they climb behind the wheel. The responsibility to prevent impaired driving and injuries related to alcohol intoxication doesn’t end there, however. Dram shop and social host laws make it illegal to knowingly serve alcohol to an impaired person. 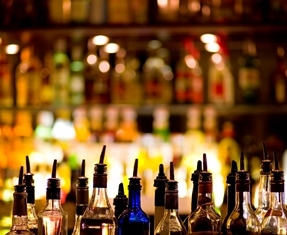 In some cases, bar owners or party hosts can be held responsible for the actions of an intoxicated customer or guest. Learn more about these laws and what they mean for you. What Is a Dram Shop and What Laws Apply to Them? A person of “notoriously intemperate habits,” or who other states refer to as a habitual drunkard. Common examples of dram shop laws involve drunk driving. For example, if a man is drinking at a bar, slurring his words, and stumbling upon walking, he should not be served further drinks. If the bartenders do continue to serve him, however, and he gets into a car accident upon leaving, the bar can be held liable. One study published by the National Institute of Health (NIH) reported that dram shop laws are successful at reducing beer consumption and lowering the number of fatal crashes. That study states that 64 lives have been saved in the states with dram shop laws. Social host laws are similar to dram shop laws, but address the private sector. Social host laws hold a party host responsible for the actions of a guest who was drinking alcohol at a private party. Many social host laws address only the serving of alcohol to minors, while other states encompass a party guest of any age. Washington, DC, however, does not have any social host liability laws. If a party guest in DC causes injury to another, the victim cannot bring a lawsuit against a private citizen. District law allows only dram shop consequences for vendors. The establishment served alcohol to the intoxicated person at fault for the accident. The person who sold and served the alcohol did so knowing that the customer was already intoxicated. The intoxication was the proximate cause of the accident. It can be difficult to prove negligence, however. People respond to alcohol somewhat differently, and the signs of intoxication may not always be obvious. Additionally, it can be difficult for a bartender to ascertain what the customer was doing before he arrived at the bar, how he arrived at the bar, and how he intends to leave. In some cases, a personal injury case can be pursued against the intoxicated person themselves even when there is not enough evidence to satisfy a case against the establishment. Accident victims in Washington, DC have three years from the date of the accident to file a personal injury claim. If you or someone you love has suffered injuries because of an intoxicated person, you should take action quickly to protect your rights and obtain the maximum amount of compensation. The experienced accident lawyers at Kennedy Hodges, LLP, can help you understand the local laws and decide how best to proceed. Call us 855-947-0707 at to schedule a free, no-obligation consultation.